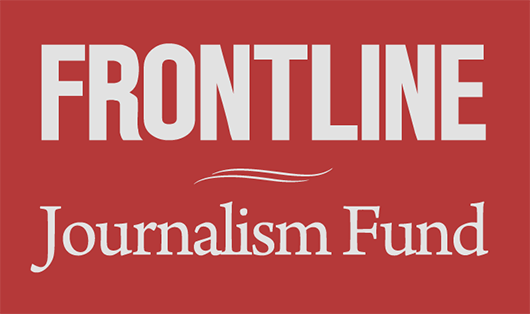 For the past year, FRONTLINE and ProPublica have been investigating the white supremacists at the center of last August’s infamous and deadly rally in Charlottesville, Virginia. This joint reporting has already shed new and troubling light on the events of August 11 and 12, 2017 — revealing that one participant in the violence, Vasillios Pistolis, was an active-duty Marine, and that another, Michael Miselis, worked for a major defense contractor and held a U.S. government security clearance. Now, in a major new documentary with correspondent A.C. Thompson called Documenting Hate: Charlottesville, FRONTLINE and ProPublica go even deeper — investigating why, nearly a year after the rally, many of the perpetrators of racist violence have not been held accountable; tracing the origins and actions of the white supremacist groups they belong to; and revealing how a series of violent clashes involving those very same individuals and groups preceded the deadly rally in Charlottesville. Documenting Hate: Charlottesville is the first in a series of two films from FRONTLINE and ProPublica investigating the resurgence of white supremacists in America. The second documentary will air in Fall 2018. In Documenting Hate: Charlottesville, Thompson methodically tracks down some of those at the center of the Charlottesville violence — and reveals just how ill-prepared law enforcement was to handle an influx of white supremacists from across the country, some of whom had been part of a series of earlier violent confrontations in California and descended on Charlottesville specifically to fight. In particular, the documentary reveals how the events of August 11th may have set the stage for the next day’s tragedy: During a torchlight march at Charlottesville’s University of Virginia, police did little to prevent white supremacists from attacking their ideological foes. “When they did that in the presence of police who were watching, and they knew that and they saw that, and they walked away and they got away with it … They’re coming in here the next day ready to do more,” activist Emily Gorcenski, who was assaulted at the torchlight march, tells Thompson. Ultimately, on August 12, 32-year-old Heather Heyer was killed when neo-Nazi James Alex Fields allegedly drove his car into a crowd of counter-protesters. Thompson speaks with Heyer’s mother, Susan Bro, who believes Fields isn’t the only one who should be held accountable: “For people from 35 states to come in to fight, that’s absolutely absurd,” she says. 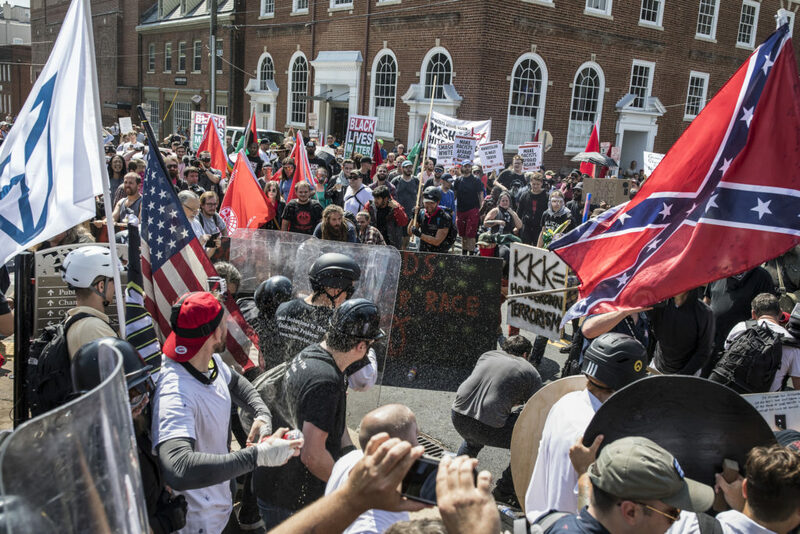 Thompson speaks with experts who say law enforcement’s response so far has only made white supremacists feel more emboldened — and in the process, he shines an unflinching light on the rise of America’s new white supremacist groups and how they operate and recruit. Ultimately, the film is an eye-opening examination of how white supremacist ideologies have moved out of the shadows. Lowell Smith, a former Orange County probation officer who for much of his career worked exclusively on white supremacist groups, tells Thompson that such groups have now entered the mainstream, and are likely the most active he’s seen them over his 26-year career. And finally, the film begins an exploration of white supremacists’ presence in the U.S. armed forces. After FRONTLINE and ProPublica’s reporting revealed that a neo-Nazi active duty Marine, Vasillios Pistolis, participated in the Charlottesville violence, Pistolis was court-martialed and sentenced to 28 days in prison. Citing our reporting, Rep. Keith Ellison (D-MN) wrote to U.S. Secretary of Defense James Mattis to formally request an investigation of white supremacists in the military. Documenting Hate: Charlottesville premieres Tuesday, August 7, at 10/9c on PBS and online at pbs.org/frontline. Read text stories online at propublica.org. Documenting Hate: Charlottesville is a FRONTLINE Production with Midnight Films, LLC in partnership with ProPublica. The writer and director is Richard Rowley. The producer and correspondent is A.C. Thompson. The producer is Karim Hajj. The executive producer of FRONTLINE is Raney Aronson-Rath.